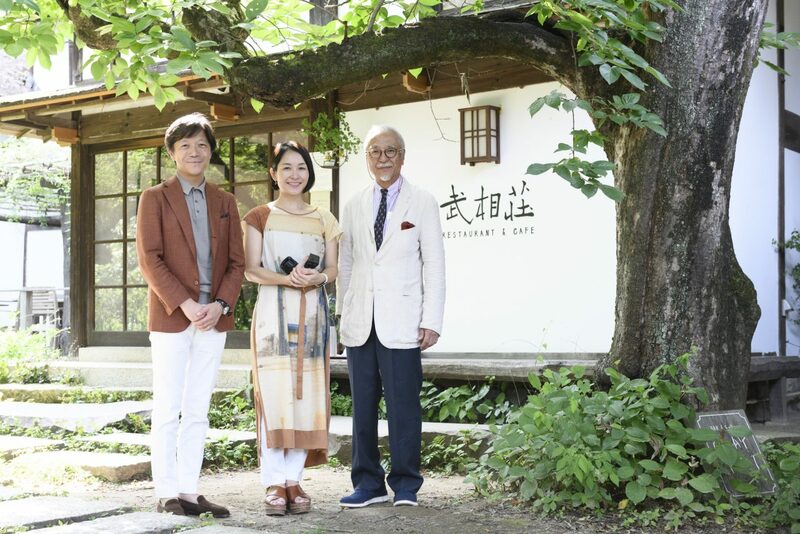 Buaiso, the former residence of businessman and bureaucrat Jiro Shirasu, who negotiated with the GHQ following the end of World War 2, and his wife, essayist Masako Shirasu. SIGMA, manufacturer of unique cameras and lenses based on the concept “photographic gear for artists”, and always re-thinking the relationships between gear & photograph and technology & artistic expression. 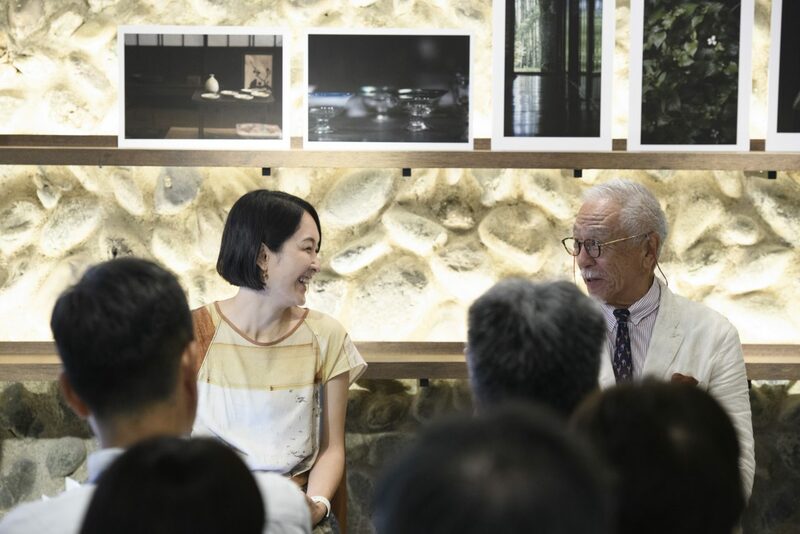 Together, they collaborated for the first time to create a seven month long exhibition project combining photography and space under the theme “Art of Life”, held at the former Shirasu residence Buaiso in the green Tama Hills neighborhood of Western Tokyo. 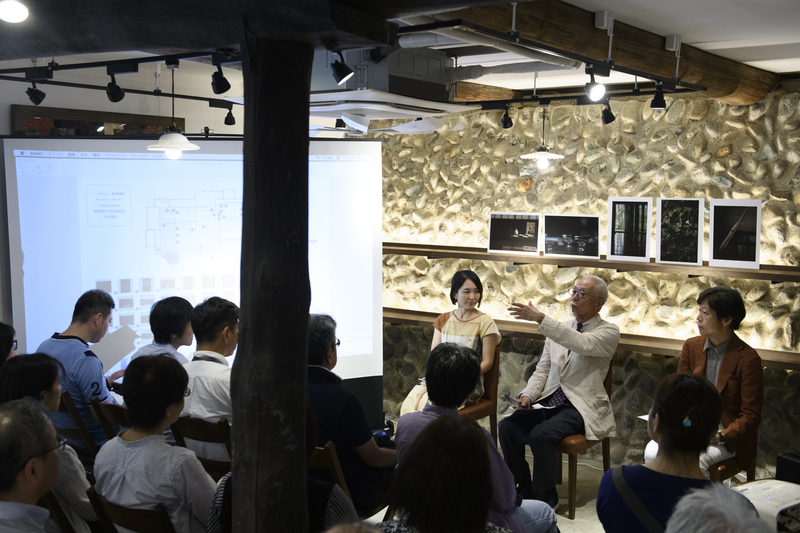 With this article, we offer a digest version of the discussion event between Buaiso manager Yoshio Makiyama, photographer Mina Daimon, and SIGMA CEO Kazuto Yamaki, held on the occasion of the project’s opening on July 21. 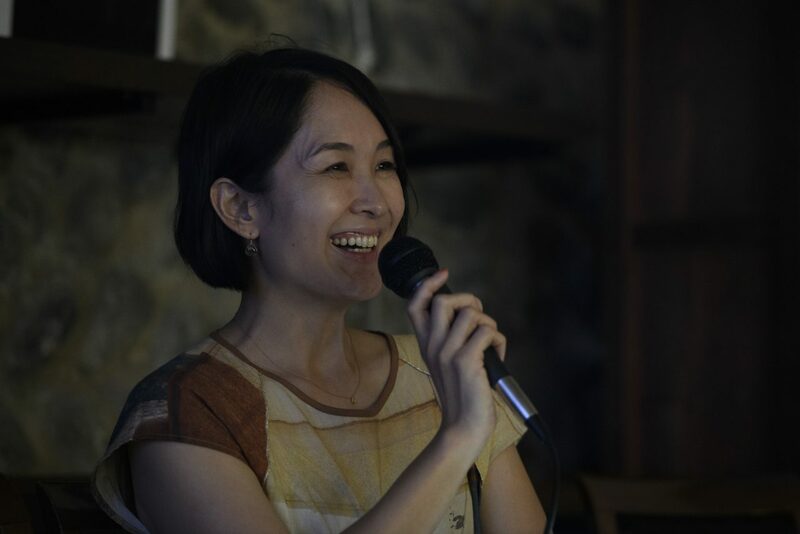 We present the discussion together with photographic impressions of Mina Daimon’s exhibition “Buaiso Photographic Saijiki (Spring & Summer)”, a series for which she is going to photograph all four seasons at Buaiso, as well as the photography lecture held by Daimon later the same day. Buaiso, located in the hills surrounding Machida in Tokyo Metropolis, is the former residence of Jiro and Masako Shirasu. Today, it is open to the public as a memorial hall and museum and has become a popular destination for visitors. The name Buaiso is a portmanteau of the two former provinces’ names (Musashi and Sagami) between which the residency is located and works as an ironic pun on the Japanese word for “inhospitality”. Yamaki: Thank you everyone for coming here today. My name is Kazuto Yamaki, and I will lead through today’s talk. I believe that for many guests today is the first time to visit the Buaiso. Mr. Makiyama, could I ask you to begin with an introduction of the Buaiso and its history? Makiyama: Yes, thank you very much. The Buaiso is the house that Jiro and Masako Shirasu moved to during World War 2, and they both spent the rest of their lives here. They bought the old farmhouse, furniture and all included, to begin leading a very pleasant life here. After they died, their daughter – my wife – inherited the building and decided to open it to the public. In the beginning, we were visited by many fans of Masako Shirasu, people with a deep knowledge of Japanese antiques and beauty. In 2009, after the drama “Jiro Shirasu” had aired on the public broadcaster NHK, Jiro Shirasu’s life and work became more well-known and fans of both Jiro and Masako began visiting us. Since then, we repaired some of the buildings once used as sheds or workshops, added parking spaces, a restaurant, footpaths and so on, in order to make this place more easily accessible to interested guests. We also hold pottery classes, flea markets and music events here and host traditional artists, so that visitors can enjoy the Buaiso in the company of cultural entertainment. Yamaki: During the war, Jiro Shirasu realized that “if Japan goes to war with America, we will not win, and there will likely be a famine”, and decided that they should move to the countryside in order to sustain themselves, which is why they moved here. Then he renovated the old farmhouse to suit his own tastes, as far as I understand. I have the impression that you and your wife have inherited Jiro and Masako Shirasu’s sensibilities and philosophies for your work here at the Buaiso. Makiyama: That is correct, yes. Although it was actually Masako who made the decision to live here. Born the daughter of a Satsuma count, she was highly educated in Japanese beauty, and the aesthetic sensibility to know which kind of life she wanted to live. Of course, Jiro also had his own personal tastes and preferences, but all the furnishings and tools here have been arranged according to Masako’s sensibilities. But as you can see, everything here is simple and artless, in line with an aesthetic sense which had no interest in gaudiness or luxurious tastes. In this regard, it is correct to say that they shared the same fundamental values and philosophies regarding life. The rural charm of the Buaiso is partly due to the fact that very little artifice is at play. I am sure everyone here today will also notice its suitability as a photographic subject. Yamaki: Let us talk a little about how our collaboration began. I came to know you and your wife through a mutual friend, and we began talking about the possibility of organizing a photography-related event together. The Buaiso is located a mere five minutes by car from our head office, we are practically in the same neighborhood, and since my mother graduated from the Tsurukawa is where the School I graduated locates, this is an area of Tokyo I feel very attached to. I was determined that our company should provide a project idea. We have been thinking about our involvement with the local community – how we could contribute to and support the local area – for a while now, and wondered if there was not some way we could become involved in a project in our office’s vicinity. That we should work together with the respected Buaiso to host a photography-related event is a great blessing. We’ve thought about how to approach the project at our company, and decided that an event featuring Ms. Daimon’s works, which always manage to find an unexpected beauty within the everyday, would be a perfect fit for the Buaiso. Mrs. Daimon, this photography series was the first time you visited the Buaiso, is that right? In addition, at three months my shooting time was rather short as well. I usually spend three to four years on my works, in some cases even close to ten years. I had to begin the series by photographing objects to which I felt an immediate reaction. However, this is somewhat lacking as a motivation to create photographs. I began thinking about a different approach when, by chance, I found myself looking through a book of Tomio Tada-an immunologist. On the first page, the name “Masako Shirasu” jumped at me. I thought that was an undeniable sign and decided to read the whole book. Makiyama: Yes, Tomio Tada actually visited the Buaiso many times in his life. Yamaki: I am a fan of his work, too, and have enjoyed his books. He also wrote Noh plays, didn’t he? Makiyama: Yes, he has written several scripts for Noh play. Daimon: In the book, there are many episodes from his life, about him eating tortoise soup together with Masako Shirasu, going to Kyoto, buying antiques, even ordering an antique that caught his eye in a fancy restaurant with the phrase “that one, there!” and so on. As I continued taking my photographs I imagined these scenes in my head, and before long I had managed to give shape to the ideas I’d had. 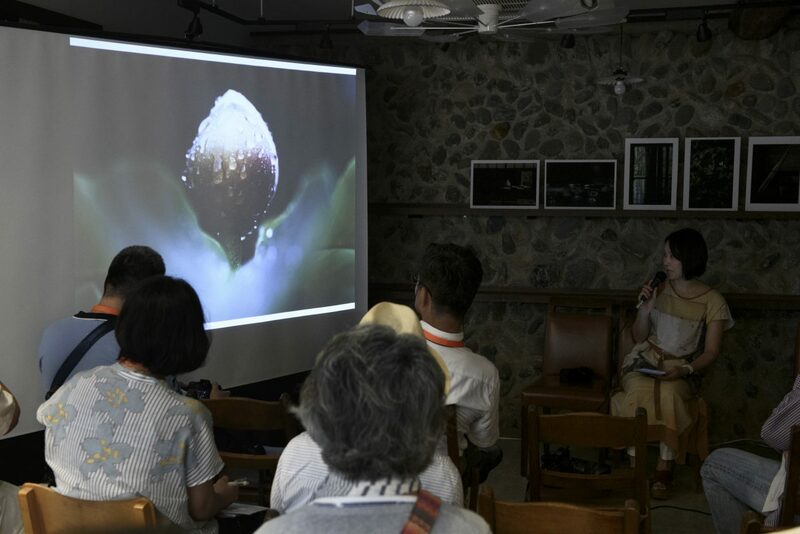 Yamaki: Attendees of today’s lecture can visit the Buaiso many times during the summer holidays to create their photographs. I think observing the change in weather and light here will be an interesting experience in itself, but what I also find exciting is how this change might affects one’s way of looking and photographing. Daimon: Yes – my shoot here lasted only three, four months this time, but during this period I noticed how wonderful and beautiful the change of the seasons here is. Plants grew thicker in the space of a week, affecting the light that reached the rooms. Other times I noticed my eyes wandering towards the ground and caught myself looking at cute little fruits scattered all over the ground. With constant little discoveries like that, I enjoyed my time shooting this project here. Makiyama: I was very excited to see how Mina Daimon would express herself in the photographs taken here. When I saw her pictures, they surprised me greatly. The Buaiso with which I’m so familiar looked completely different to me. I can’t speak with the authority of a photography expert, but her choices of what to focus on in her photographs, the astonishing ways she captured the objects and the sheer beauty of her images simply left me surprised. Look at this photo of a Sake bottle, for example. I think this is a picture that Masako would have liked. You automatically imagine a scene in your head, of the Sake being poured and shared. The same goes for this photograph of a Taisho-era glass or this photo of a shoehorn which Jiro made with his own hands. I would never think to select these objects to be the focus of photographs. But they do embody the Buaiso, and even though they are photographs, you can really feel the colors in them. This picture of a lotus flower, too – how peculiar is its composition of a water drop resting on the petal? I speak as an amateur, of course, but I think the photographs work because there is an element of unsteadiness to them. I can sense a quiet liveliness in her pictures. I think they are astonishing. Daimon: Ah, thank you. This makes me very happy. Yamaki: I would say there is a certain lyricism to your works. That is to say, your images lead me to imagine a story or a scene that lingers behind the pictures. What do you personally pay attention to when you shoot your photographs? Daimon: This time I have been very careful of the composition. 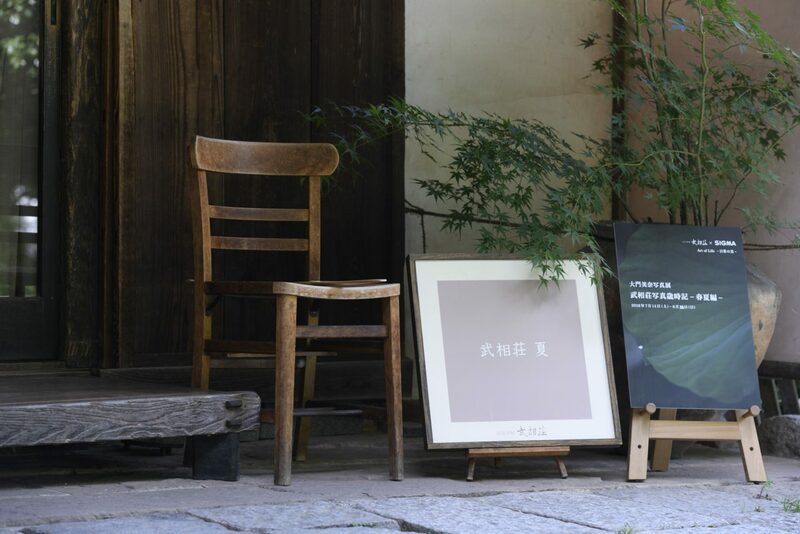 Usually, I take photographs with an aspect ratio of either 3:2 or 4:3, but since this work was going to be exhibited inside a Japanese house, I decided to use the “Japanese ratio”. Yamaki: The Japanese ratio – could you explain that a little? Daimon: Yes – the Japanese ratio, I’ve learned, are special ratios of about 1:√2 or 3:5. It is apparently also known as “Silver Ratio” or “Platinum ratio”. The ratio of Japanese sliding doors, for example, is 1:√2 as well. There is a long tradition behind it. You can choose from a number of aspect ratios in SIGMA cameras, but of course something as unconventional as the Platinum Ratio is not part of the menu, so I shot in an aspect ratio close to it and later cropped the images. Yamaki: Your photographs carry your own personal style. I wonder if there is anything in particular that you pay attention to when photographing. Daimon: The most important thing is the light, of course. It wasn’t my original intent, but when I look at the images again, I notice that I used backlighting a lot. It adds more three-dimensionality to the objects, and I think it makes pictures with rainfall look more romantic, more beautiful. Regarding Buaiso, I was especially aware of the darkness of the rooms here. It is easy to think of darkness as something negative, but as an old Japanese saying (“semi-darkness, semi-lightness”) suggests, pleasant types of darkness do also exist. When I photograph an object lit only by a tatami mat’s reflection of outside light, for example, or when the light allows me to capture very fine details of the furnishings here. Also – and I apologize if this sounds pompous – one very important point to think about seriously is the question “what do I like?” If you find yourself fascinated with someone’s fingers or feet – whatever the subject, even fetishism is okay – you should find out what makes you like what you like. Then, regardless of whatever you are photographing, you should concentrate on taking photographs which reflect this strong something that attracts you to your subject. 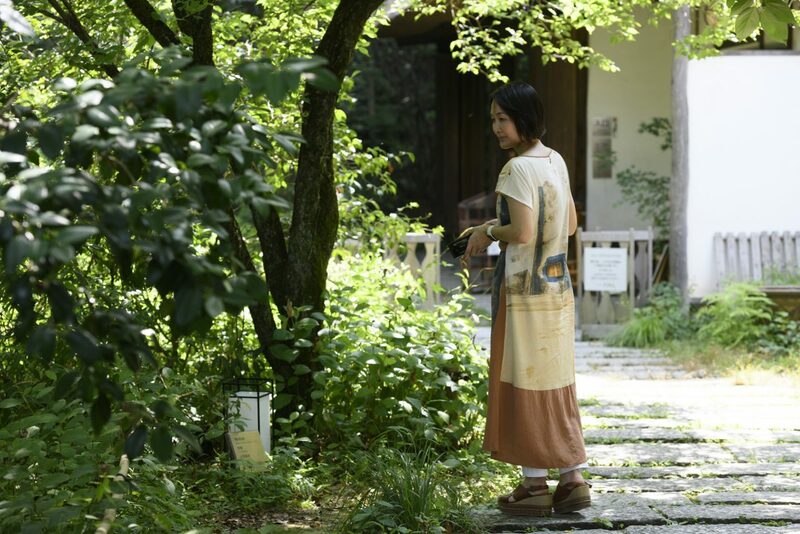 Yamaki: Jiro’s and Masako’s philosophies and convictions were reflected in their actions and their lives. Were you able to observe this in your and your wife’s lives? Makiyama: The principles that were important to Jiro – his attitude to follow his fundamental philosophies and beliefs – are understood and valued very highly by us as his immediate relatives. Masako and Jiro never wavered from their way of life or made excuses for what they deemed important. Even strangers acknowledged their integrity – the phrase “If they say so, it surely is correct” was often uttered. I aspire to lead a life as simple and earnest as theirs. Yamaki: It is my impression that you and your wife have inherited these values. You mentioned the word principle – for the DP1, one of the first cameras we developed, we chose the tagline “a camera with principles”. The camera’s concept was to find and expose the fundamental essence and quality of the subject. It had a rather slow shutter speed, though, and so the images blurred easily. The blurring part wasn’t so ideal, of course… (laughs) I just remembered this little story, sorry. Yamaki: Since we’re talking about photography, allow me to speak a little about our company. SIGMA was founded in 1961 by my father, Michihiro Yamaki. My father often said, “In essence, cameras and lenses are used in life’s happy moments.” From when I was very little, he told me, “Photographs become mementos of happy times, whether it’s the first day at school, the graduation ceremony or a holiday with the whole family. This is a work very much worth doing, and you should give your best, study hard and grow to be a good person, so that you can take over the company one day.” Now, as a businessman, when I ask myself what all the work and labor is for, I remember his words. Of course, cameras and lenses are not used exclusively during happy moments. But on a fundamental level, with our products we contribute a little bit to the happiness in people’s lives, and this makes it all worth it. That thought drives me daily to create new and better products. Sorry for the sudden excursion, but I wanted to share the mindset with which I try to run the company. Makiyama: And I think this kind of motivation then shows in your products. 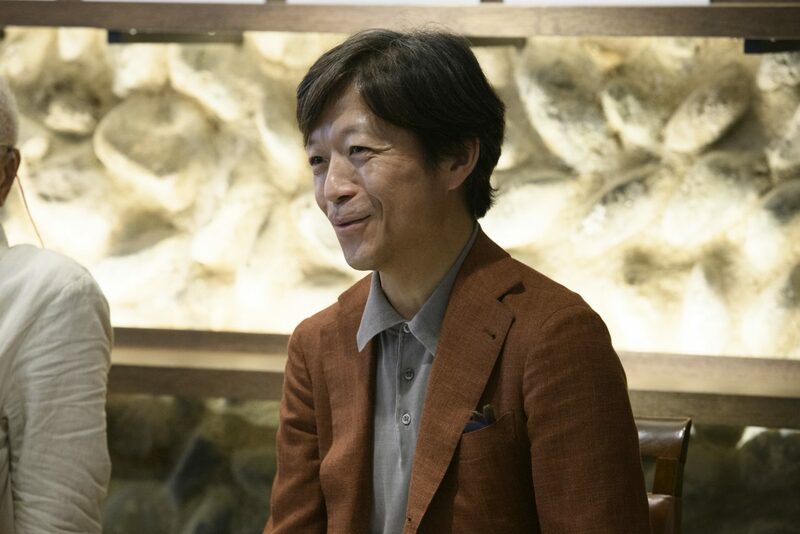 Yamaki: I am sure you understand why seeing artworks like the ones exhibited here, created using products built by our company, is such a joy for us. Yamaki: Unfortunately, time has already caught up with us. We have to finish our discussion. Mr. Makiyama, is there anything you would like to tell first-time visitors to the Buaiso? Makiyama: We are very happy to host about 100 guests at Buaiso every day now. Many visits wishing to see Masako’s collected antiques and maybe hoping to see a treasure they haven’t known about before. It is my own personal wish for our visitors to catch a glimpse of the special life of Jiro and Masako, to take a breath in the air of the rooms here, and to have at least a small taste of the lifestyle that Buaiso exemplifies. We hope everyone who learned about Buaiso at the event now also enjoys the photography exhibition. Yamaki: And, if you allow me to add, I would like to recommend visiting the restaurant and the bar here as well. We had a meal here the other day, and eating the delicious food and drinks here in silence and darkness far away from Tokyo’s noisiness, the weight of Jiro’s and Masako’s lived years always present in the air, was an exceptional experience. With that, I would like to thank you for visiting attending today’s opening discussion, and please enjoy Mina Daimon’s afternoon lecture. 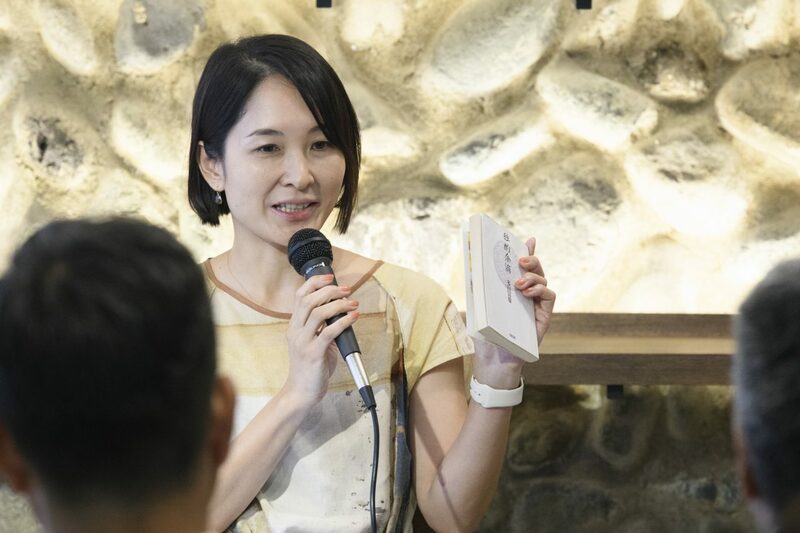 Accompanied by images from her “Buaisō Photography Saijiki” series, Mina Daimon talked about her technique and shared anecdotes of the project’s creation during her afternoon photography lecture. For the second part of her photography course, Mina Daimon and her students photographed Buaiso and its fresh greenery together with her students. Further exhibitions of Mina Daimon’s photography will be held in October and January 2019. Please see the below link for more detailed information. After graduating in Political Science from Keio University’s Faculty of Law, Makiyama married Katsurako Shirasu in 1965. Following an engagement at car retailer Yanase, Makiyama joined Seibu Department Stores and was involved in the opening of influential music and video store Roppongi WAVE. In 1986, Makiyama took on a director’s position at Seibu Department Stores and contributed to the creation of LOFT, a Japanese design retail chain. During Makiyama’s many engagements at galleries or trading companies, he established himself as a pottery artist. 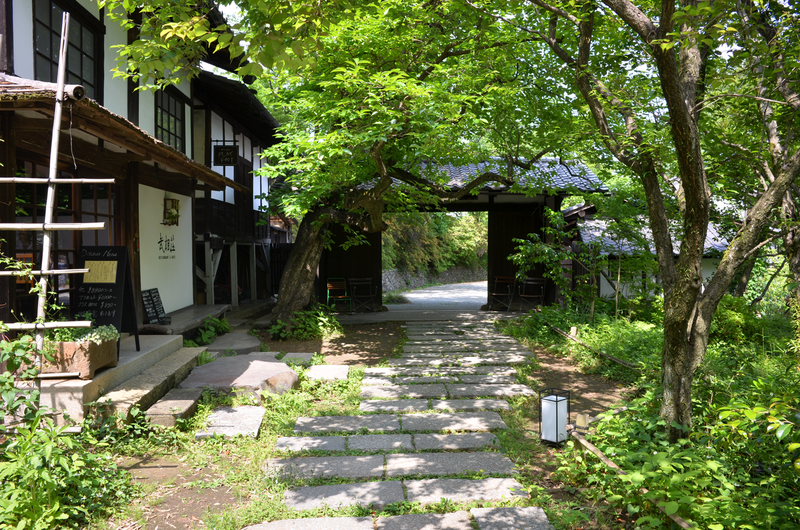 In 2005, Makiyama became director of Kougei, the company which manages the former Shirasu residence Buaisō. Daimon majored in city planning at the Tokyo Agricultural University Landscape Department and has been working as a photographer since 2011. Many of her series were photographed with the SIGMA dp3 Quattro. Daimon was a finalist of the 1st Canon Photographer’s Session. She has collaborated with numerous fashion brands (e.g. MUJI). Past exhibitions include “Portugal” (Ricoh Photo Gallery Ring Cube) and “The Miniature Garden” (72 Gallery). In 2014, Daimon published her debut photobook “Al-Andalus” (Ooka Publishing). She received an Honorable Mention at the 2017 International Photography Awards. We have previously introduced her works on SEIN Online and as part of the SIGMA dp Photo Gallery. Yamaki joined SIGMA in 1993. Having gathered experience in the company’s mechanical design etc. departments, Yamaki joined the corporate planning. He led the company’s camera development projects, started in 2000, and in 2005 became SIGMA’s managing director. Since 2012, Yamaki has been acting as the company’s representative managing director. Kazuto Yamaki｜CEO of SIGMA Corporation Japan Our own way. Our own future.